A dazzling penthouse featuring a spacious roof terrace is the crowning glory of this stunning new development offering 70 contemporary and stylishly designed apartments. Balconies and floor to ceiling windows offer views over either London's ever changing skyline or a tranquil inner court yard making it the perfect extended stay solution for relocation, training or working on location. Home of the Sadler's Wells Dance Theatre, Islington pulsates with a seemingly endless array of hip restaurants, bars and shops and from it's Northern line underground station - Angel, has a direct link to the centre of London's financial district, with subsequent connections straight to the West End, Canary Wharf and London City Airport. 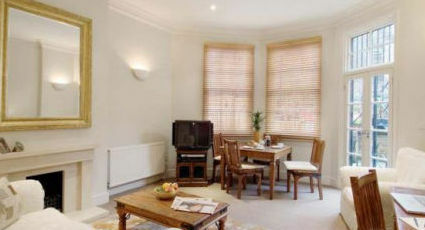 Angel Tube station is conveniently nearby and is serviced by the Northern line, providing a direct link to the centre of London's financial district, with subsequent connections straight to the West End, Canary Wharf and London City Airport.